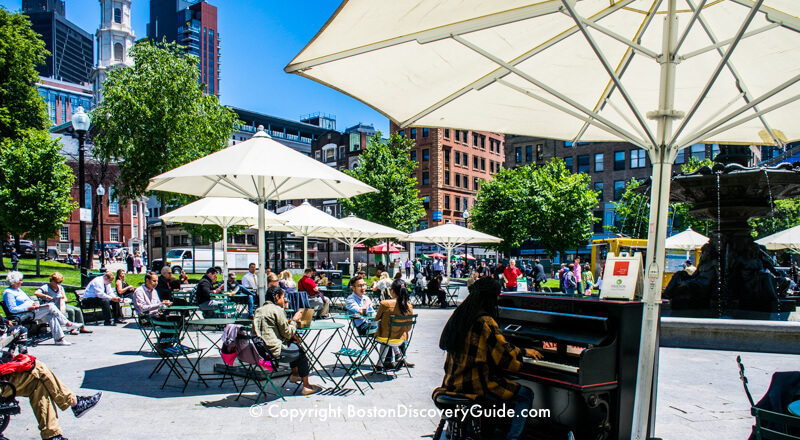 With arrival of warm weather, lots of fun things to do in Boston in May happen outdoors - so go outside and enjoy all the city has to offer! 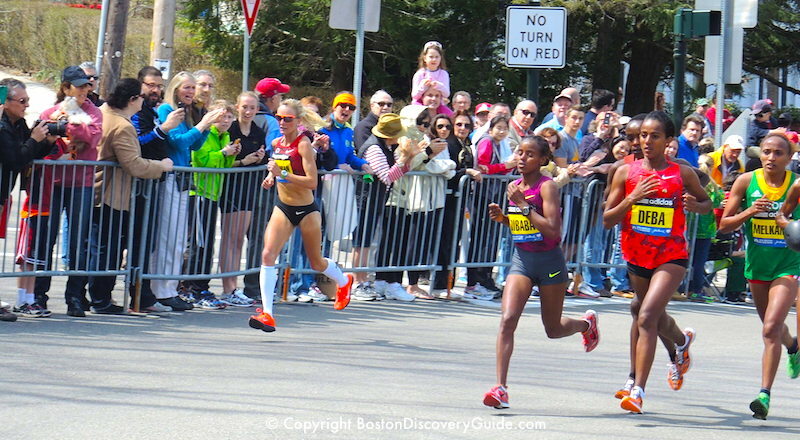 You can cheer the Red Sox at Fenway Park, join the Duckling Day Parade on Mother's Day, and even head to the beach. 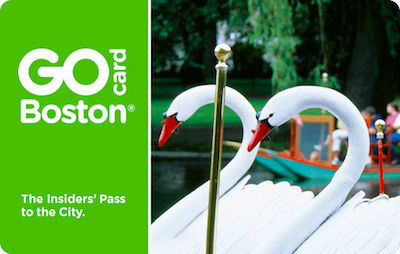 Memorial Day brings all sorts of activities, including the popular Boston Calling outdoor music festival and the Garden of Flags on Boston Common. 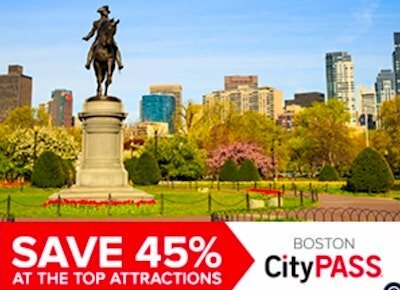 Tour Boston by bike, go on a Harbor cruise, walk along the Freedom Trail, join special art walks, soak up sun on a Boston Beach, or just enjoy the gorgeous flowers blooming in all the parks. As a bonus to visitors, Boston hotel rates remain somewhat lower in May (except when college graduations take place) than during the summer, so plan your visit to take advantage of these affordable hotel rooms. Boston Calling, the popular 3-day indie and pop rock music festival that takes place over Memorial Day Weekend, returns to the Harvard Athletic Complex in Allston. Headliners include alt-rockers Twenty One Pilots, rapper Travis Scott, and psychedelic pop-rock group Tame Impala. Other well-known acts included indietronic duo Odesza, rapper/singer-songwriter Logic, funk/R&B singer Janelle Monáe, plus many more bands - about 55 in all. Local groups/musicians include Guster, Pile, Clairo, and Sidney Gish. On the Comedy and Entertainment slate, look for Michael Che, Fred Armisen, and Jenny Slate headlining the comedy acts, and Boston Ballet and English singer-songwriter Imogen Heap on the entertainment side. Look for three music stages, a comedy stage, and more music than ever, plus over 30 food vendors, a wide selection of beer and wine, sponsor exhibits, and surprise attractions. Tickets typically go fast, and prices rise as the dates draw closer. In addition for single-day passes, you'll see options for 3-day passes plus a tiered array of VIP tickets; the most expensive tiers typically sell out the fastest. Boston Duck Boats begin re-appearing in large numbers in April, and offer a unique vantage point from which to tour through the city's most historic areas downtown, as well as parts of Back Bay and Beacon Hill, and then to view it from the special perspective of the Charles River. You may even see nesting ducks along the river's edge - perhaps descendants of Mr. and Mrs. Mallard. 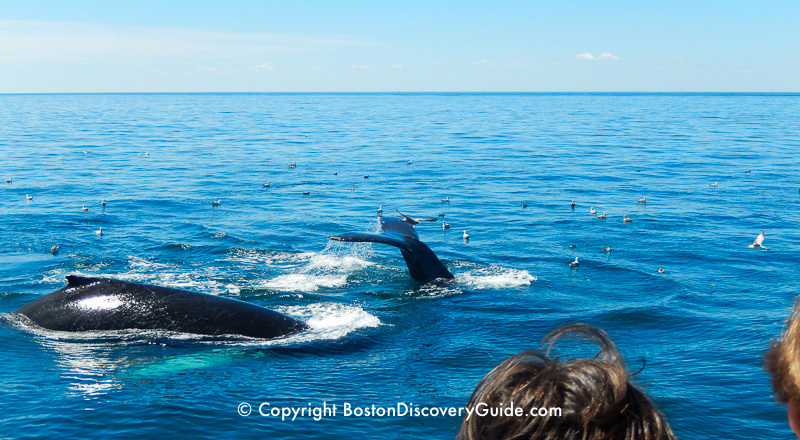 Boston whale watching cruises begin operating again in early April - perfect way to see these big creatures up close. Fresh from their pre-season games, the Red Sox begin each Boston season by taking on their long-time rivals, the New York Yankees. 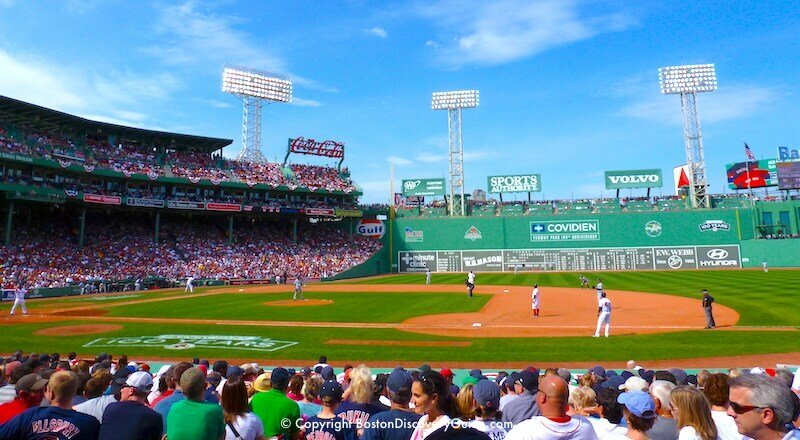 Although tickets for the opening game may be challenging to get at this point, the Red Sox play plenty of other home games throughout April - so be there! Concerts and shows take place almost every night of the week in Boston. Our many concert venues attract top performers, and Boston's Theatre District is home to everything from Broadway shows to avant-garde contemporary drama. 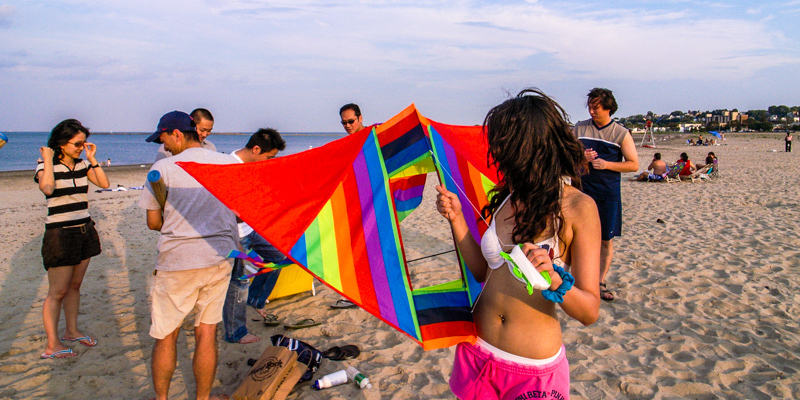 Did you know you can enjoy a Boston beach without leaving the city? Boston beaches may not rival Cape Cod or Martha's Vineyard - but they have lots of charm and convenience, especially when other reasons keep you in the city on the weekend. 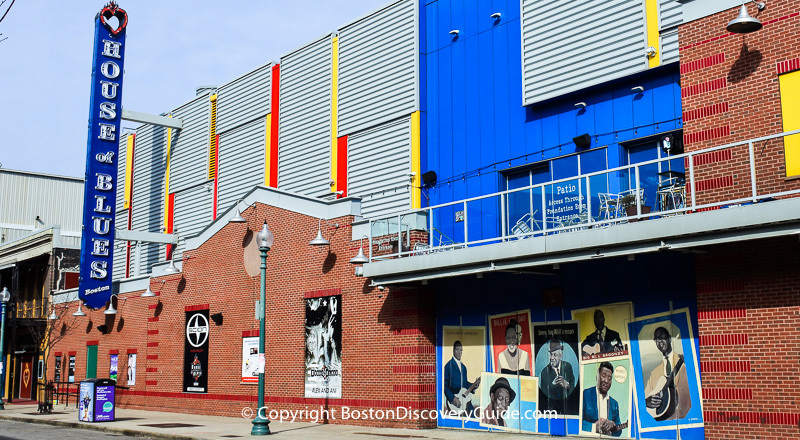 South Boston Waterfront: In Boston's most sizzling neighborhood, you'll find the Institute of Contemporary Art, Blue Hills Bank Pavilion where many summer concerts take place, and lots of popular restaurants overlooking the waterfront. For the ultimate experience in this neighborhood, check out all the cruises departing from Boston's Black Falcon Cruise Terminal - and then make reservations on one! Fort Point: Across Congress Street from the South Boston Waterfront is the Fort Point neighborhood, home to artists, art galleries, and many of the city's top chef-owned restaurants. Explore the galleries and boutiques, and be sure to have a meal here. 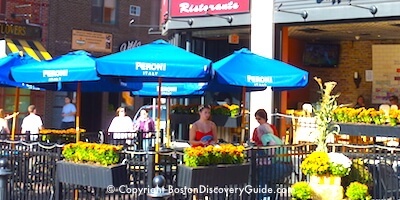 Check our Boston sightseeing guide and map to find attractions in other neighborhoods. For an easy day trip from Boston, visit Newport, Rhode Island, just 60 miles to the south. Explore gilded-age mansions along Ocean Drive and Cliff Walk, take a harbor cruise, and have fun shopping and trying all the local restaurants. Sailing in Boston begins in earnest in April. 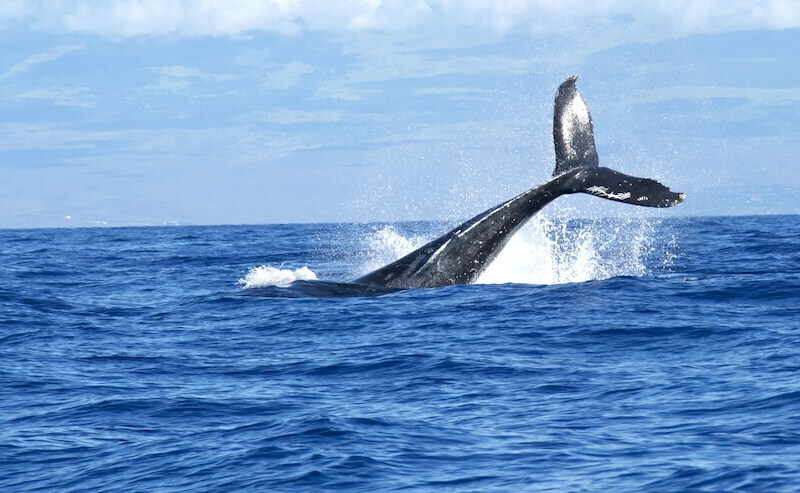 If you sail, or want to learn how, check out the opportunities for sailing during your visit. 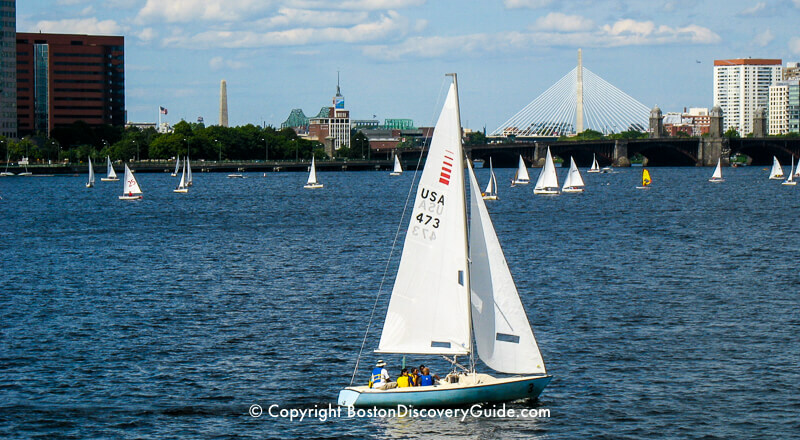 You, too, could be out sailing on the Charles River or Boston Harbor. For more excitement, watch (or participate in) the Run of the Charles - New England's biggest kayak and canoe race. As the city bursts into bloom in April, people turn out in hordes to admire all the spring flowers. You'll find lots to love on a stroll through the Victorian-era Public Garden or the lushly-planted Rose Kennedy Greenway, but especially on warm weekend afternoons, these well-known spots can get crowded. 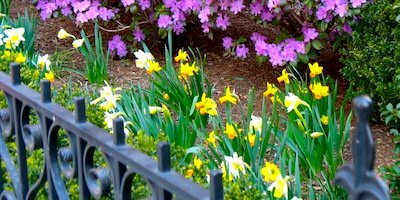 To see pockets of color known mostly to locals, explore some of Boston's "secret" parks and gardens, conveniently located in the central core of the city but just enough out of the way to be almost hidden, unless you happen to know where they are.